Compounds Australia is a national resource that allows chemists to deposit small molecules into a central repository. Based around a unique custom-designed suite of advanced robotics and software, our facility synergises interactions between Australasian chemists, biomedical researchers and their international colleagues to help drive drug discovery. Browse our services and resources below. 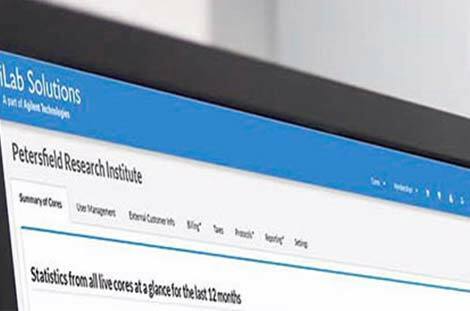 iLab Operations Software, is an enterprise web-based management tool designed to support operations for centralized labs and shared research resources. Its functionality includes service request and milestone management, sample processing, equipment reservation management, usage tracking, and lab requisitioning. Contact us to generate an account. Compounds Australia Structure Portal was launched in early 2016 and enables researchers to browse or search the ‘Open’ Compound Collections via a web portal. 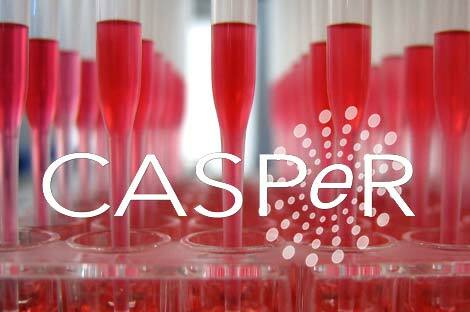 CASPeR provides researchers with access to up to date information such as individual chemical properties. Utilising an Agilent LCMS, Compounds Australia manages a quality assurance program for monitoring purity of stored libraries. All samples submitted into the Open Academic libraries are analysed regularly and other larger libraries have a representative subset monitored. We have an extensive listing of labware already set up on the Compounds Australia systems. Click on the appropriate labware type to see if your plate type has been setup. Alternatively, provide 2-3 sample labware and these may be setup on the robot and liquid handling platforms. We currently have an expansive list of plate templates for samples, including various single point, and multi-point CRC configurations. Alternatively, if you can’t find one that suits your purposes we can create additional templates on request. (Note: There is a small charge involved with creating new templates). To submit samples into Compounds Australia they must first be registered in our in-house database, which will allocate each sample with a unique Compounds Australia Sample Number. The sample number will then be used as the unique identifier for this sample while it is held at Compounds Australia. Samples will be made up in DMSO to a nominal concentration of 5mM for storage in either microtubes, or microplates. 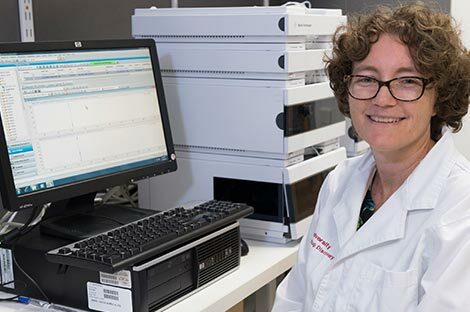 Utilising an Agilent LC/MS, Compounds Australia manages a quality assurance program for monitoring purity of stored libraries. All samples submitted into the Open Academic libraries are analysed regularly and other larger libraries have a representative subset monitored. The LCMS analysis is offered to Closed libraries for a service fee. This service can be a very helpful tool in confirming and comparing different batches of the same synthesized compounds.